Principal Jacob Solsø Holm will welcome us at the Aarhus Børnehøjskole, and present the values behind the school followed by a tour around the area. Aarhus Børnehøjskole is a folk high school for children in the age 6-13 years old. The school is located at Nørre Allé 44 in the heart of Aarhus. 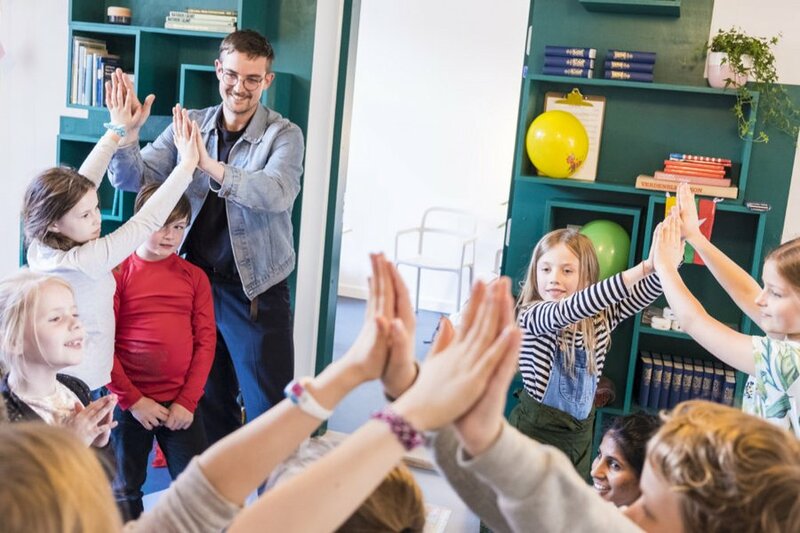 Aarhus Børnehøjskole is a living house with creative courses and learning activities spread throughout the week all year round. The aim is to make the world bigger for the smallest. This must be done by allowing children to meet the high school thoughts of community, formation, and dignity. Furthermore, the aim is to give children a place where they can practice being curious about themselves, each other, and on life. Aarhus Børnehøjskole welcomes everyone - no matter who you are or what you believe in. For more information, read why Aarhus Børnehøjskole is a good initiative here. The point is for the child to learn something, but more importantly: be something for others in a community where it is not about showing what the single child can do, but about being a person. How can international children be a part of theAarhus Børnehøjskole? We kindly ask you to sign up for the excursion﻿.